The rate gain, Kpsa0.8 N-m-s, provides damping of the pitch response with time constant r = 2Iy/A^«67 s and the position gain, Kpm0.012 N-m, provides a restoring torque with frequency fm^Kp/Iy «0.021 s_I. 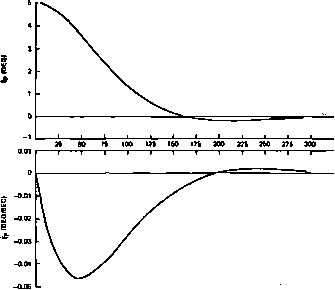 The pitch loop response to a 5-deg initial error is shown in Fig. 18-16. Thus, the design value, X^ = 0.8 N-m-s corresponds a damping ratio of pswl/v^ (see Section 18.1), which results in one overshoot and no undershoots. 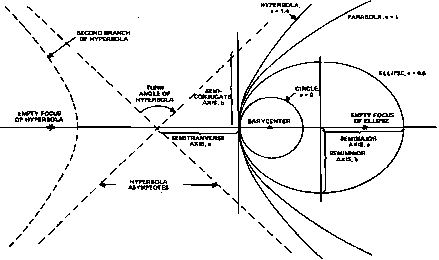 Roll and yaw control are achieved by commanding the y axis electromagnet based on magnetometer and horizon scanner roll angle data [Stickler, el al1976].